With the future of the club hanging in the balance, it might be prudent to look at the club’s financial past. Silvio Berlusconi is well known for rescuing the club from bankruptcy and turning it into one of the most successful clubs in history. 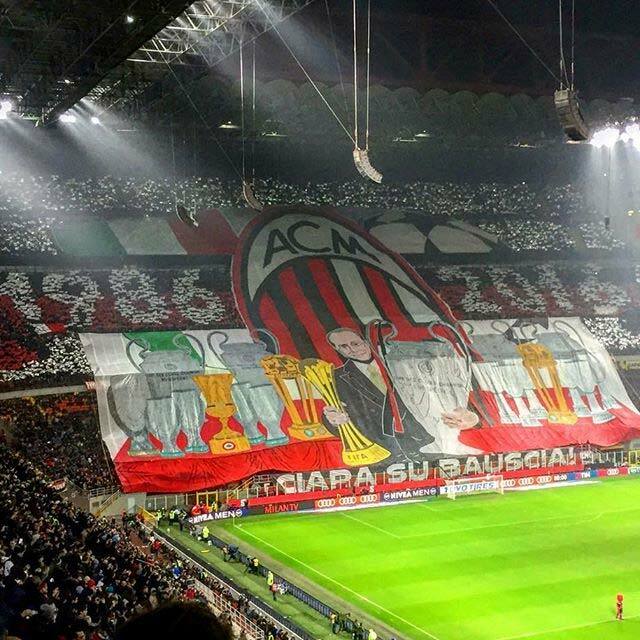 However, his beloved status with Milan fans for his endless investments and myriad trophies often clouds the truth. The truth is that the man who “changed football forever” also changed football finances forever. Behind the beloved myth is the unsustainable business model he created. On February 10, 1986, Berlusconi bought AC Milan for what would be about €700.000 today. He rescued the club from debt so deep that Farina, the previous owner, fled the country. And he immediately raised the bar, spending in ways that only he was known for. From the player gifts to lavish team presentations, the players went from not being paid wages to being treated like champions. Having spent two stints in Serie B during the six years prior, the royal treatment was a welcome change. 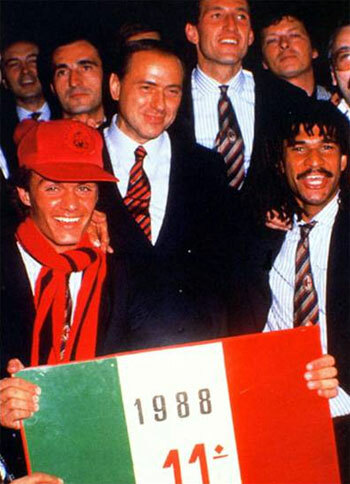 But Silvio did not stop at spending to promote the team, he also spent on the team itself, bringing in players like Donadoni, Galli, Massaro, and Bonetti in his first season. He also hired Fabio Capello the following year to replace Nils Liedholm. That team climbed from seventh to fifth on the table, and also qualified for the UEFA Cup. And it was only upwards from there. 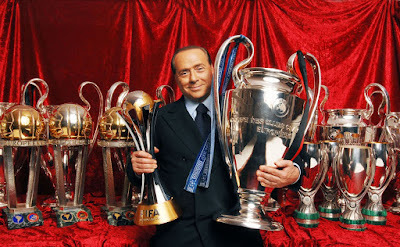 The following year he bought more Italians, like Ancelotti, Bianchi, Colombo, Costacurta, & Mussi. But he also spent very big for two Dutch players, Gullit and van Basten. Their transfer fees were unheard of at that time. At a time when his professional and political careers were simultaneously taking off, it didn’t seem to bother anyone that Milan were in the red every year. This became the signature of the Berlusconi era. Great players, great teams, winning trophies, but never turning a profit. As season ticket sales grew and the popularity of the club increased, returns never equaled the expenditures. This business model was unsustainable. In order to win, Silvio had to spend, and often spent big. Take for example, the 2001-02 season. Milan spent €146.5 million in the transfer market, receiving only €18.3 in return for sales for a total expense of €128.2 million. Within those purchases were notable players like Rui Costa, Andrea Pirlo, Filippo Inzaghi, Martin Laursen, Javi Moreno, Cristian Brocchi, Massimo Donati, Marco Simone, and more. But the timing also coincided with Berlusconi’s election as Prime Minister once again. This was also a trademark, that he would invest heavily around election time. There were a few exceptions to the bottom line always showing a loss, such as in 2006, when Shevchenko was sold. Or again when Kaka was sold in 2009. Or when both Ibrahimovic and Thiago Silva were sold in 2012. The sale of Shevchenko saw an operating profit of €31.5m that year. Kaka’s sale gave the club an operating profit of €4.6m. Whereas selling both Ibra and Silva earned Milan an operating profit of only 5m. This was the most obvious manifestation of how unsustainable the business model was, that Milan had to sell one or more big players in order to avoid another loss. The rest is history. 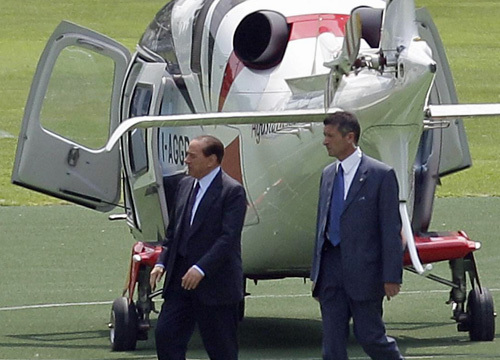 Berlusconi’s lavish investments throughout the years created expectations of such reckless spending. To sustain the trophy count on the pitch, he had to dig deep into his pockets year after year. Many speculate what year it was that Milan begin to fail, but the bottom lines show that it in fact started in 1986. By the time he had to start selling key players to balance the books, Berlusconi was in a perpetual cycle of debt and spending that was going to be impossible to get out of without changing his ways. Changing his ways might have included the fact that not a single player was brought up from Milan’s youth sector during the Berlusconi era until De Sciglio in 2011. People claim that there was no talent in our youth sector during those years. But one does not need to look far to find a perfect example: Aubameyang, Bundesliga’s current top scorer, came through the Milan youth sector, was loaned out from 2008 forward, then sold for €1.4m in 2011. He is currently valued at €65m, depending on your sources. Whether Milan had kept the player and been patient, or sold at a better time to make a profit, these types of deals from Milan’s youth sector did not help Silvio’s bottom line. In order to create a sustainable business model, managing the youth sector properly is key. 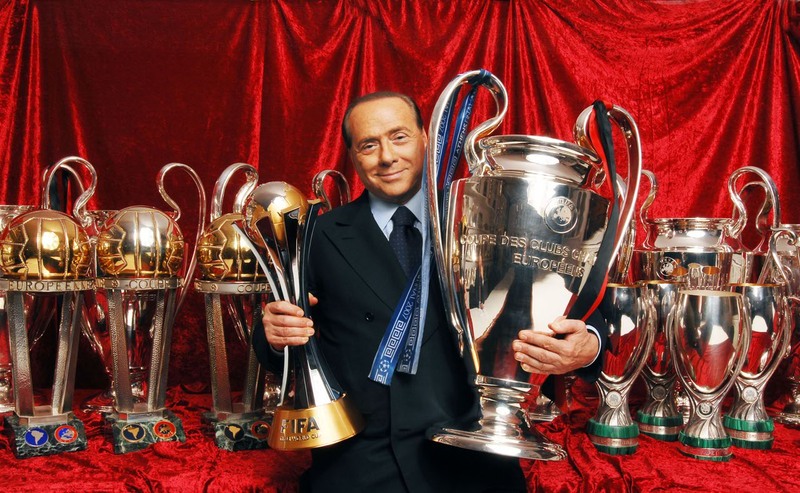 From excessive transfers that required constant personal investment, to players sold against their will to balance the books, to gems from the youth sector being given away, Berlusconi’s “Champagne Football” has always been unsustainable. Of course the debts became too much when his personal and legal expenses could no longer allow him to invest. But that all points back to his original unsustainable business model. Notorious for his helicopter rides and lavish parties, the club now sit in dire need because of those same extravagances. There isn’t any one year that can be looked back on as far as Silvio changing something and the club beginning to suffer. It was always destined to end like this, because his larger than life management style required a bottomless wallet to fund the club. It was all winning and trophies until the money ran out.